Hello! My name is Laura and I am the new owner of Our Creative Corner. 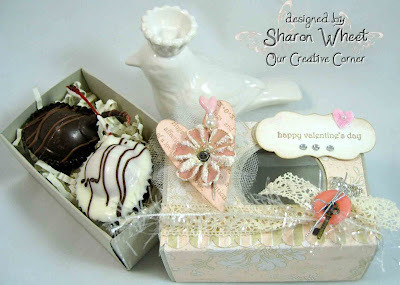 Our Creative Corner was one of the first challenge blogs I ever took part in - and I loved it. It was a huge honour when Linda asked me if I would like to take over the running of it. You will notice that somethings have been changed. However, we will never be erasing Our Creative Corner's history, and the wonderful work by Linda and all the previous DT members will still be here for you to see. I have recruited a brand new Design Team to re-launch Our Creative Corner, and for the last few weeks we have been focused on bringing you a challenge blog that you will love. We have changed the decor, adjusted the challenge organisation and made some new rules, but, for those of you who have always visited Our Creative Corner, I can assure you it will continue to be the inspiring challenge it always has been. Behind the scenes we have all been working hard to form our vision of a new creative challenge. I'll just give you the details of the things we have organised. running from the 1st to the 28th of each month. Each member of the DT will host a challenge in turn and will judge that challenge. and most of all we love to see projects where creativity is at the centre. 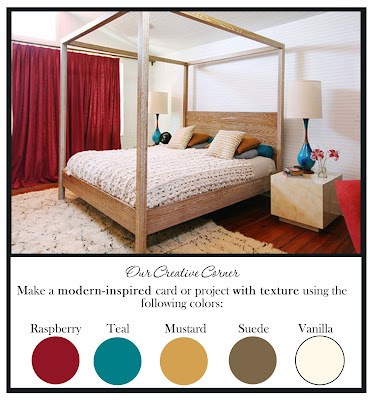 Whatever you love creating - this is the Creative Corner for you! There will be two posts that show the DT creations. Half the team will post their creations on the 1st of the month and the second half will be here to show their creations on the 15th - to inspire you throughout the month. The winner from the previous challenge will be announced on the 8th of each month. with the 'Spotlight' on a new project they have created. The Top Talent post will be on the 22nd of each month. This will feature all the names of the winners and the date that they were featured. Please note - Our DT will not comment on blogs with word verification. So if you would like our DT to comment on your entry, then please turn off word verification. I am so happy and very proud to be able to introduce you to the Our Creative Corner Design Team. This challenge blog has been, and will continue to be very much a team project - with all of us contributing our design work, coming up with interesting challenges and providing occasional surprise posts about our work, tutorials and other ideas that we will share with you. It is such a honour to be joined by these amazingly creative artists......They will be hosting each challenge in turn and presenting you with their wonderful work. My main interest in crafts is to focus on detail - that is why I love miniature work. I am new to the world of inks and stamps, but they really have transformed my work and I couldn't manage without them now. I am really looking forward to seeing what everyone makes for the challenges, and I can't wait to begin work on presenting this blog with such an amazing team! I'm a relatively recent convert to crafting, but it would be fair to say I'm now completely addicted. 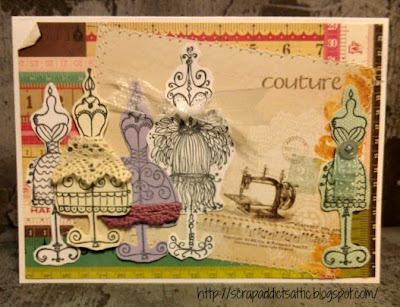 I love tags, and altered art and all things Tim Holtz, and I veer wildly from Shabby Chic to Grunge to Vintage... as long as I've got stamps, inks and paints to mess about with, I'm happy. I'm so excited to be a part of this team of astounding crafters. I am thrilled to be part of this amazingly talented team! 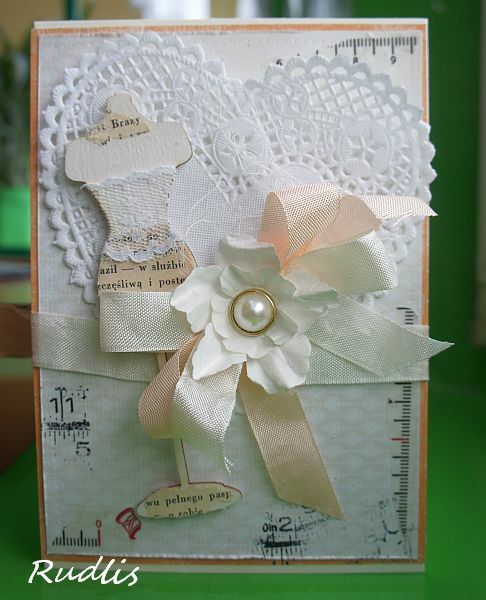 I have been 'crafty' all my life - sewing, knitting, upholstery and I discovered paper crafting 5 years ago. I adore working with paper, ink, paint, wood and canvas and my style is eclectic. 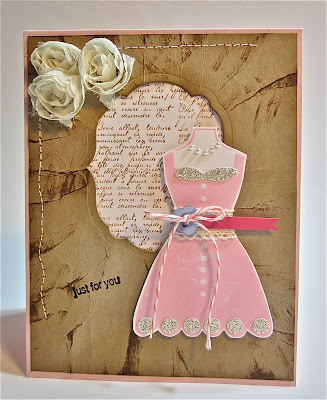 I am totally inspired by Tim Holtz and Wendy Vecchi. It is so exciting to be involved with such a great team at the re-launch of this wonderful challenge blog that I know you are all going to love. 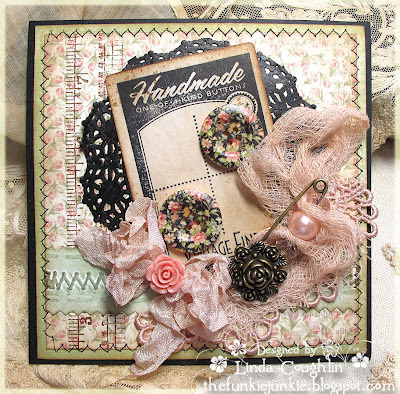 My style leans towards Vintage and I really like making little books, boxes and cards but I'm now enjoying getting messy with mixed media projects. I'm constantly amazed at all the creativity out there and looking forward to being inspired by what you make. I am delighted to be asked to stay on the new Our Creative Corner. You probably already know my style, but I lean toward all things vintage from shabby chic to grungy. 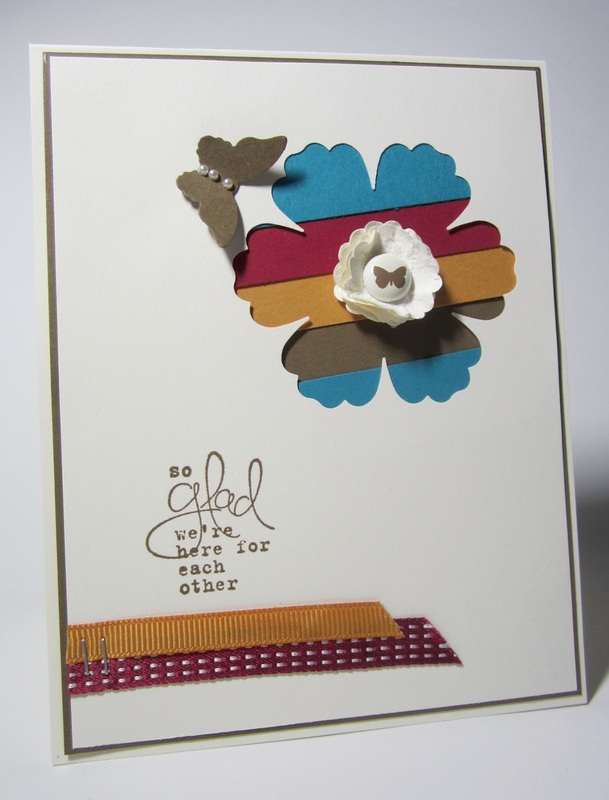 Besides paper, I love incorporating textiles and metals into my craft projects. Can't wait to get started with this awesome new team! I enjoy visiting other people's blogs, thus diving into foreign worlds of imagination and creativity! How lucky am I to be a part of the amazing Our Creative Corner team! Having created things all my life, paper-crafting and mixed media has become something of an obsession in the past couple of years. Experimenting with new techniques and products drives me forward, and if I can inspire others to push themselves in the same way then for me that's job done. I am delighted to have been invited to join the Our Creative Corner team and to be amongst such wonderfully talented company! 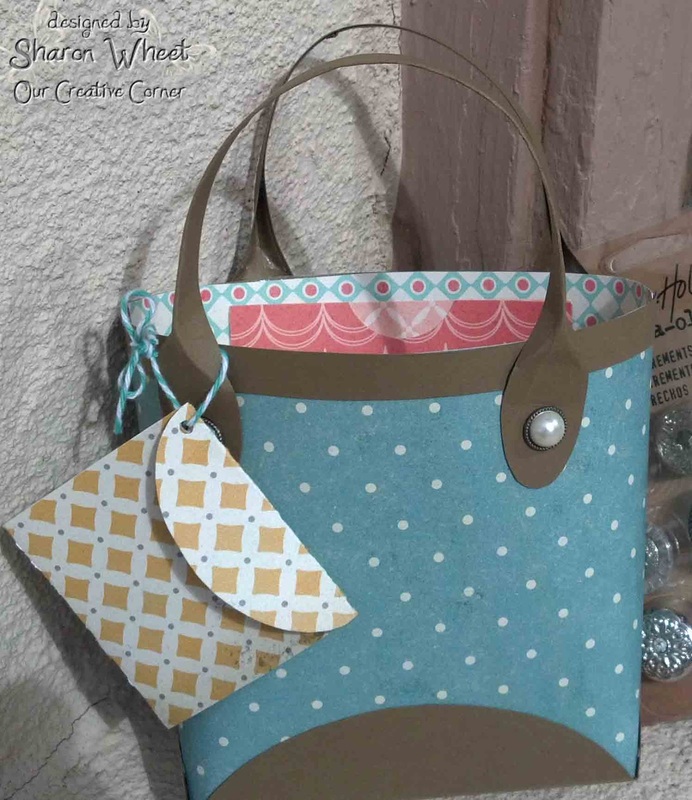 I am a life long 'creative' and would now class myself as an obessive crafter! 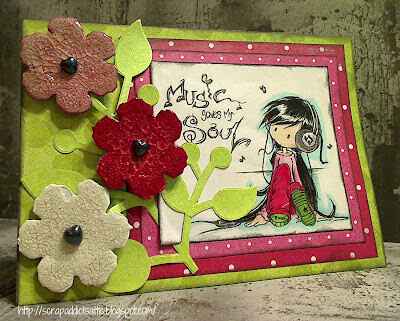 I love stamping, mixed media projects, all things distressed, altered art and vintage is becoming a passion. The talent in 'blogland' continues to amaze and inspire me everyday. Laura will be back on the May 1st, bringing you our first challenge - We are all really looking forward to it. We do hope that you come back and join us! It's Goodbye For Now...But an All New Our Creative Corner is Coming! Hello friends of Our Creative Corner. 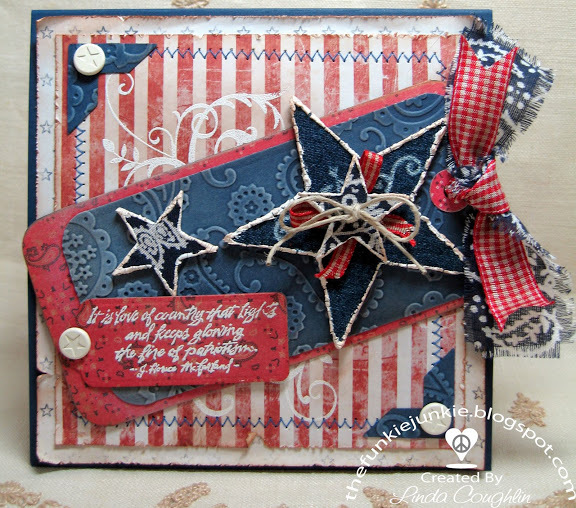 We are back for our very last post as the current Our Creative Corner. Our design team and Our Creative Corner as you know it are here to say good bye. 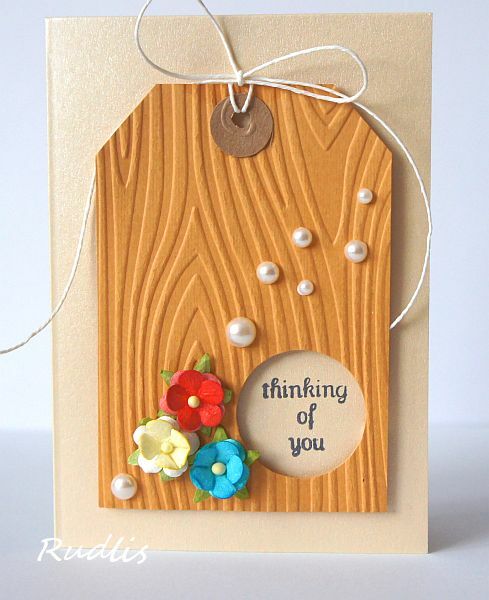 Linda here, saying a huge thank you to the very talented design team. It's been an honor and a privilege to have been a long running DT member and for the last year, the owner, of Our Creative Corner. But the time has come to hand the challenge blog off to a new owner who will be making some exciting changes to this challenge site. 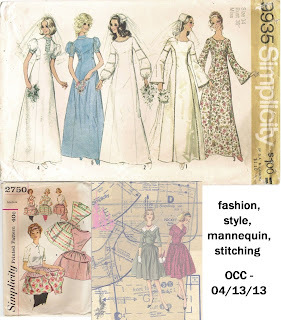 Before we go, our designers are sharing one last project with you - each designer has selected her favorite project that she made for OCC to make a final good bye appearance here. The current OCC is closing for now but it will be returning to bring you further creativity and inspiration. Please come back on the 27th of April for the new look OCC and the surprises that await you! Hello and welcome back! We are here today to share a wonderful interview and a sensational piece of work from our Top Talent winner from our recent Photo Inspiration challenge. 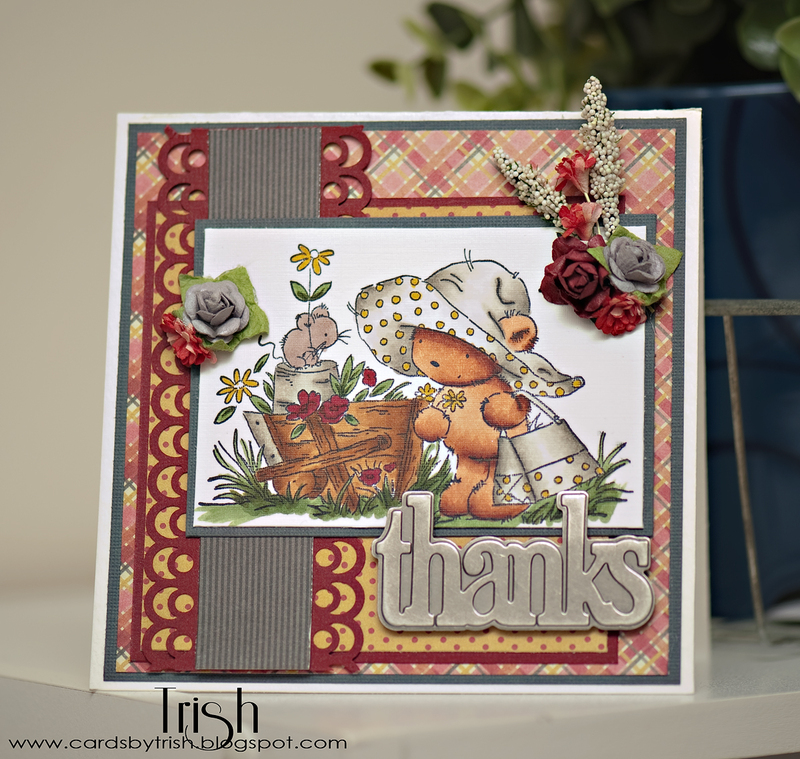 Our Top Talent for that challenge was Patricia Grissom of Cards by Trish. 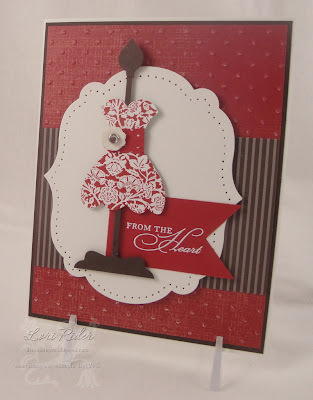 Here's the gorgeous card Patricia made for this spotlight. -- Where do you Live? Me, my hubby, and our little girl currently live in a small town in Central Illinois. -- Describe yourself in five words? Love of all things creative. -- Describe a real life experience that inspired you artistically. When my now sister in law and I first met, we both were scrapbookers. Our husbands frequent antique shows and such and we needed something smaller to take along to keep us entertained. We started stamping and have been making cards since! -- Describe your most 'productive' crafting environment. I seem to get the most done if my crafting room is neat and organized (which rarely happens) I also enjoy my windows and lots of sunlight streaming in. I generally have to have music going in the background as well - Michael Buble happens to be my favorite. -- What if anything, do you consistently draw inspiration from? I would have to say other crafters. I enjoy visiting the blogs I follow - there are some very talented people out there!! -- If you were to create a slogan for your life, what would it be? Serve, Snap, Stamp (I serve a Risen Savior and "serve" others as a registered nurse; I am a portrait photographer as well; I love to stamp and create). Pretty much sums me up! -- Are you a Spring, Summer, Winter or Fall person? Do you feel you create better in that season? 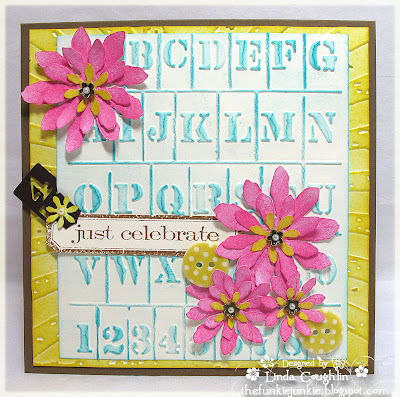 I'm definitely a Spring/Summer girl - I enjoy being outdoors during the nice weather, but I also love having my windows open and coloring up my latest stamps. I probably get more crafting done in the winter though when life is a little "slower." Thanks so much to Trish for this brief interview. We enjoyed getting to know you a little better. And we hope you will stop by her blog Cards by Trish and leave her some love! It's Irena, from 'Love, life and crafts Rudlis'. I am your hostess this week. This week's challenge is titled: 'Fashion and style". You must use at least one item: a mannequin, stitching or item of clothing. You can also incorporate some texture, (ie: fabric, ribbon, floss, etc) and a metal piece (ie: brad, push pin, charm, etc.). And most of all, have FUN! Welcome back to Our Creative Corner. I would like to introduce once again a very talented lady who designs gorgeous cards/creations in the Vintage style, so if you like this genre then you will love her work. I live in a 200-year old cottage just outside a tiny village in Northumberland, which is very close to the Scottish Border. Because of the frequent battles between the Scots and the English in past times we have lots of castles in our locality, the most famous being Alnwick Castle which was used as Hogwarts School of Wizardry in the early Harry Potter movies. The scenery in this area is amazing - gorgeous coastline, beautiful national parks and of course, The Cheviots - a range of hills protecting us from the worst of the weather. I couldn't imagine living anywhere else. 2) Describe yourself in 5 words. Well, other people might say I was "grey-haired, unfit and slightly overweight" but I'd say I was a silver-haired foxy lady having way too much fun for a pensioner! Yes, I know thats more than 5 words but since I reached 60, I've stopped counting things - especially years and calories! 3) What colour inspires your creativity? 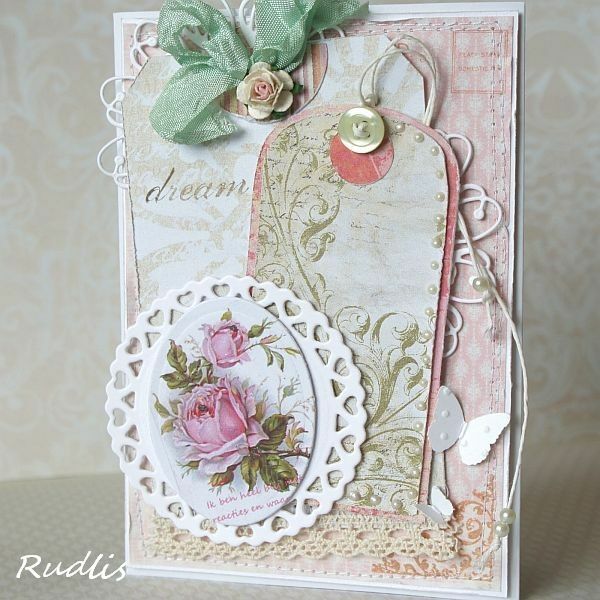 I love vintage colours - creams, dusky pinks, pale greens and browns. Although sometimes its rich colours like maroon and chocolate that make me long to create. I recently visited an exhibition of vintage clothing and could hardly keep my fingers away from the gorgeous materials they used. 4) If you have lost your Mojo, how do you go about getting it back? I visit the blogs of very creative people - Lynne Moncreif of Adorn, Astrid Maclean of Astrid's Artistic Efforts, Laura at Laurart and Rebecca at Paper Primrose are just a few of my favourites and I soon see something fabulous that gives me a buzz. Entering challenges is also great, especially when you are given a theme, colour or inspirational picture to give you a kickstart. 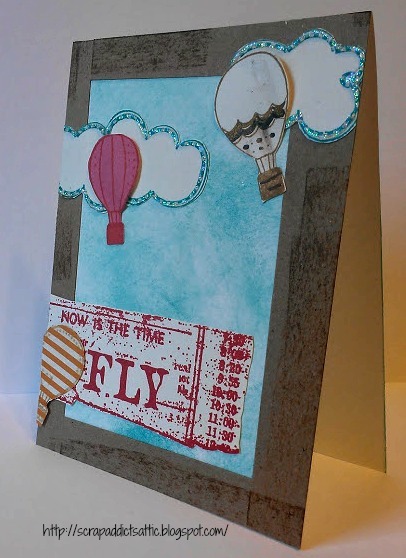 I really enjoyed the Shabby Chic challenge on Our Creative Corner and being chosen as the winner gave me a real confidence boost. 5) How long have you been crafting and what made you start crafting? I've only been enjoying this lovely hobby since I took early retirement from my office job six years ago and found I had some free time at last! My Japanese daughter-in-law did wonderful origami and got me started on that and I still find it fascinating what you can create with paper and card. All the inking, paints and embellishments came along later and now I'm venturing into mixed media and thoroughly enjoying getting messy. 6) What is your favourite holiday/event to make crafts for? I love to make books and boxes which are special to an individual (or couple) so I guess my favourite is anything that's a life event like getting married, moving house, the birth of a child or a special anniversary that I can really go to town on. I've made my little house book specially for some friends who are moving shortly and hope it will give them some pleasure over a very hectic and trying time. I'd like to think it would become a keepsake. And this is what Margie had to say about the project she made. 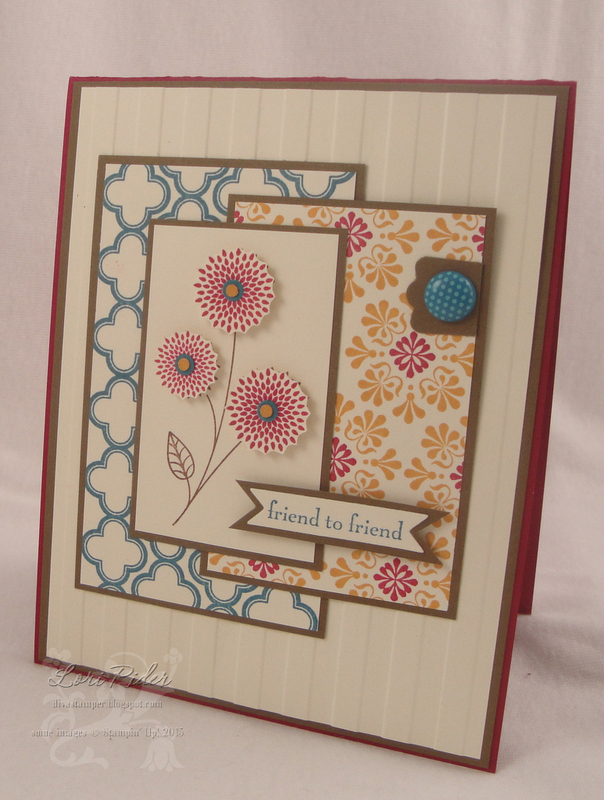 “My New Home book was inspired by a wonderful book called In This House (and its companion In This Garden) by Angela Cartwright and Sarah Fishburn. There are loads of ideas for little houses, including a template and lots of images you can cut out and use in your own artwork. The papers are the delicious Websters Pages and I added lots of little trinkets and bits from my stash”. Absolutely gorgeous Margie, thank you so much for being our 'Thursday's Top Talent' and sharing such wonderful inspiration with us. It is worth a minute of your time to pay her a visit. This is my last posting as co-ordinator for Top Talent Thursday, I want to say a very 'Big Thank You' not only to all my OCC teamies, but to everyone that I have corresponded with over the last 6months, you have all been a delight to work with and I have enjoyed and savoured the inspiration each week, I am going to miss not only highlighting the winners, but the pure pleasure of knowing that I bring a smile to a face when one is in the spotlight here as our Top Talent. Fear not, I am not disappearing from blogland just from here! Good morning! It's time for our next challenge, but before we get to that I want to thank everyone who participated in our travel/transportation challenge. It was great to see all the different inspirations that came out of the challenge and we loved seeing your work! You might be asking, what does "modern-inspired" mean? My answer: whatever it means to you! A good starting point could be to go for the OPPOSITE of vintage/distressed. When I hear "modern" I think clean lines, sleek and smooth, angles and shapes, funky and cool... I'm sure it means different things to everyone, so show us your interpretation with your fabulous creation. Let's get to the fun part: the creations from our team! 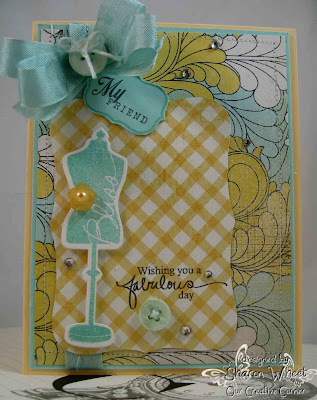 Our Top Talent today creates beautiful work, and I know you are going to enjoy what you see, the Tag that she has presented for her show-piece, is only a sweetener and I encourage you to hop over to her Blog and also her Pinterest Page (which is full of all wonderful inspiration). I live in southwest lower Michigan, in the country, but close enough to a great 25 minute shopping mecca in Indiana or 90 miles from Chicago if I want to go. I love it here, as I can have peace and quiet or be in a whole other world in 25 minutes!! 2.) Describe your most 'productive' crafting environment. I like lots of light, and being I live in a log home, it's sometimes tricky, but my hubby hung me some great lighting over my creative tables..but I work in a messy room, I think I spend as much time cleaning it up as I do creating in it, only to make it messy all over again!! 3.) Describe a real life experience that inspired you artistically. I think it was when my sister and I had our our own craft business called "Cabin On The Creek"...we made lots of prim dolls, santas, snowmen, ornaments and such. We had our own home show here in my home, cleared everything out but the furniture, put about 15 Christmas trees in and had a home show here for 3 days, we had people coming from as far away as California and Georgia just to visit our show...we grew too big, too fast...did it for about 12 years, and finally let it go, thats when I went into something else, "papercrafts" and have been going strong ever since!! 4.) If you were to create a slogan for your life, what would it be? "Time has a wonderful way of showing us what really matters"...now isn't that true? I sew and I flower garden......picking out my designer paper is very much the same as picking out fabric...I really have an addiction for both, and have more then I will ever use, but it makes me "happy". 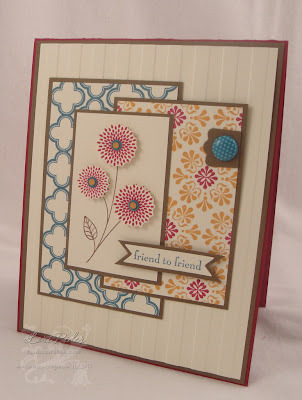 I base a lot of cards on my flower garden, by using all those wonderful dies available, I can almost recreate my "real" flowers onto paper...I love that! You will find me from April on in the early mornings planting, weeding and feeling proud of my flower bed efforts!! I laughed when I read this question, because I am so glad it wasn't "what is my most useful item?" That would have been really hard to narrow down.....it took me a bit of thinking on this one, but I had bought a tag crimper that at the time was a bit pricey, you could purchase these little rectangle metal tags, and the tool crimped them on a ribbon....it was one of those spur of the moment buys, as within a year, the metal tags were no longer produced, rending the tool "useless". It did however teach me to think things through a bit more before purchasing!! Diane has made a wonderful Tag. 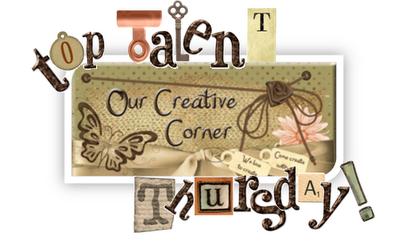 Thank you Diane for being our 'Thursday's Top Talent' and sharing such wonderful inspiration with us!